See Sarah Swatch: SH Gray by Gray Layering! 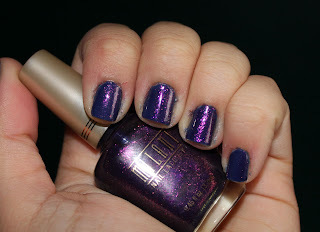 Then today in my break between classes, I added on 2 coats of Milani's Totally Cool. It turned it into this kind of dusty purple with this pinkish, goldish flaky shimmer in the shade, but in direct light, the dustiness really comes out & I'm in love.